The ATS management has reiterated that it will implement the Order of the Employment Relations Tribunal on Saturday and the employees may return to work from midday today, have their photo taken and collect their current ID card, if it had been removed. ATS says it notes, without prejudice, that the decision from the Tribunal does not prevent any disciplinary measures from being taken against the workers for abandoning their positions and engaging in an unlawful walkout. The company says that it is seeking legal advice on certain aspects of the Tribunal’s decision to consider additional legal steps. ATS says it is implementing the decision from the Tribunal for the employees that have been stood down or suspended from duties and is allowing them to return to work. It says that copies of the respective rosters have been sent to the Federated Airline Staff Association and circulated as per agreed internal procedures. The validity of the existing security access ID cards have been extended to 31st January 2018 as recent photos are required before the issuance of the new security access ID cards. ATS says it remains concerned about security and will also be enhancing security measures to prevent any further economic sabotage from taking place in the workplace to ensure there are no serious disruptions to ATS services and threats which would have adverse impact on the Fijian economy. 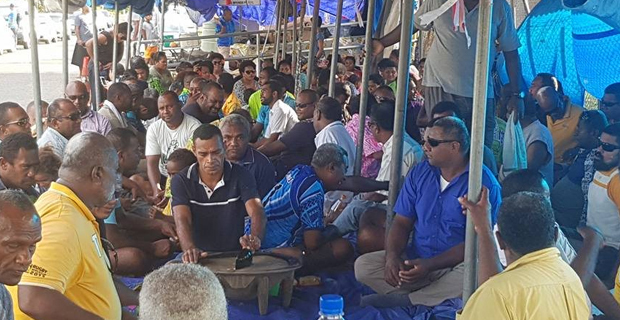 Meanwhile, Federated Airlines Staff Association’s General Secretary Vilikesa Naulumatua says that the ATS workers that had been stood down or suspended from duties without pay on or from 16th December last year are ready to return to work. Naulumatua says that they are now waiting for ATS to give the staff their new ID cards as their ID cards have expired, and also their new work roster.